As a coffee enthusiast, I beg of you, please don’t think anything can be a coffee filter just because water can pass through it. That’s not to say I don’t appreciate your predicament because I do. You probably walked into your kitchen with eyes half-mast, ready to brew a pot, only to realize you were out of filters. You have my real, true condolences; that is no way to start your day. You know what’s even worse? Using socks or toilet paper to brew a cup. I just learned there is a legion of people out there who resort to such measures, some on purpose every day! You’re better than that, and you deserve a more refined coffee experience regardless of whether you have filters or not. 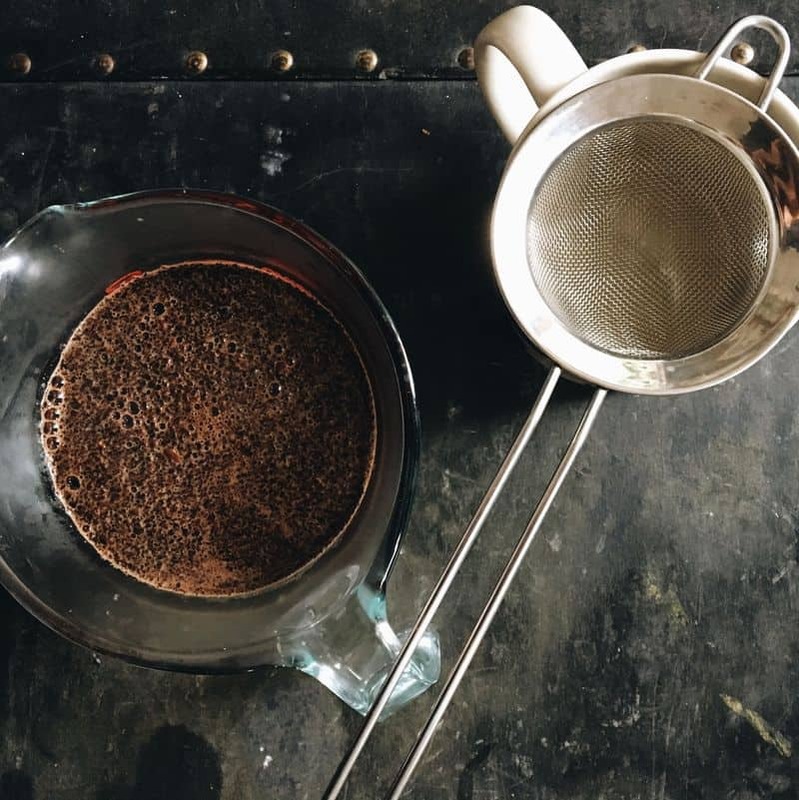 I’m here to tell you about a much better (cleaner, saner) way of brewing coffee both in an emergency scenario and introduce some sustainable eco-friendly alternatives to the almighty paper filter. For those reading this still in pajamas that need an immediate solution, I’ll give you the best options I found. Pros: It’s easy to do, and you probably have paper towels on hand. Cons: This method is a bit controversial with coffee purists. They claim the chemicals used in manufacturing the paper towels end up in the brew once the water passes through the towel. Also, there’s a chance the paper towel will tear and break during the brewing process. Verdict: Personally, I would use this method if I were in a bind, but would make sure the next time I had filters on hand. Cheesecloth is a cotton cloth that resembles gauze and is used to separate solids from liquids (and vice versa). It comes in seven grades from extra-fine weave to open, depending on how many threads per inch in each direction of the cloth. Cheesecloth is mostly used for, you guessed it, making cheese; but it comes in handy as a coffee filter as well. The cheesecloth substitute filter works the same way as the paper towel method. Fold or cut it so it fits your coffee maker, and the water will pass through. Pros: Versus the paper towel, it’s a stronger fabric and won’t tear during brewing. Cons: Who has cheesecloth on hand? If you do, you may have to cut it and discard it after use. Verdict: Use it if you have it, then stock up on filters. Today many coffee makers come with a wire mesh filter which most consider the environmentally friendly option when compared to paper filters. They typically have a plastic rim that makes it easy to insert and remove, and the stainless-steel wire mesh is simple to clean and maintain. I use a wire mesh filter, and I like it because I never worry about whether I have any paper filters. After a pot, I empty the old grinds in the trash and wash it before the next use to make sure residual grinds don’t ruin my next cup. To be honest, I do miss the convenience of just throwing away the paper filter with the used grinds, but it only takes a minute to clean it and let it air dry. If a mesh filter wasn’t included in your coffee maker, you can buy them individually and they come in a variety of sizes, shapes, and materials. They are relatively inexpensive, starting at just around $4. 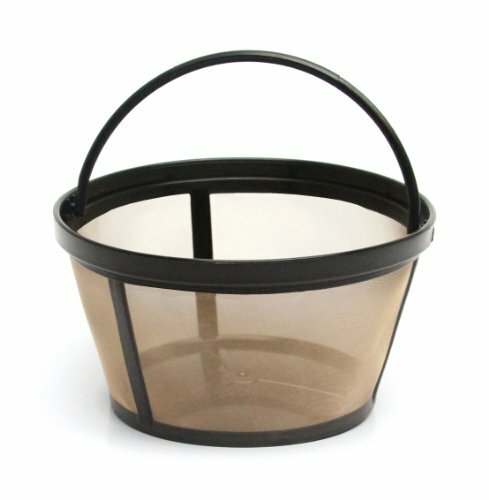 For those that prefer pour-over methods, you can use a fine mesh sieve to strain your coffee when you are out of paper filters. For a steaming hot cup of coffee, place two tablespoons of grounds in the bottom or a glass measuring cup and add about a cup of hot (not boiling) water. Stir once and then wait five minutes for the coffee to steep, or in other words, for the water to take on the flavor of the coffee grinds. The longer you steep, the stronger the brew. Once the time is up, pour the coffee through the mesh sieve into a coffee cup to separate the grinds from the liquid. Pros: It can’t get much easier than this! This is coffee in its purest form. To extract the most flavor using this brewing method, grind your beans right before you brew. If you don’t have filters on hand, this is an easy solution. Cons: Not everyone has a fine mesh sieve hanging out in a cupboard. Also, if your pre-ground coffee is too fine, it may escape through the sieve and end up in the bottom of your cup. If you grind your own though, you can set your grinder on a coarser setting to ensure the grinds don’t sneak through the sieve. That will help prevent a muddy cup of coffee. For those who don’t want to try any of these options, consider brewing cowboy coffee. All you need is coffee, water, and a kettle to boil it. Heat the water, add the right amount of coffee, and bring it to a rolling boil. After it boils for three minutes, remove it from the heat and let it settle for a couple minutes. Then, pour a cup of cold water down the spout. This will settle the grinds to the bottom after a minute and then your coffee will be ready to pour. Pros: This is another easy way to brew that I plan on trying next time I’m in a bind. Cons: Although I’m sold on the theory, I will wait to see how well the grinds settle before I fully endorse this method. I’m not a fan of drinking grinds and avoid it at all costs. I’m pretty sure I speak for the masses on this one. Verdict: I think it would be worth a try! Just because you ran out of paper filters doesn’t mean you have run out of options for a hot cup of joe. Try one of these methods if you are in a pinch, and perhaps consider a more sustainable solution like a wire mesh filter or metal sieve to avoid running out of paper filters ever again. Either way, I hope you found this helpful and can enjoy your cup today, however unconventional it may be for you.